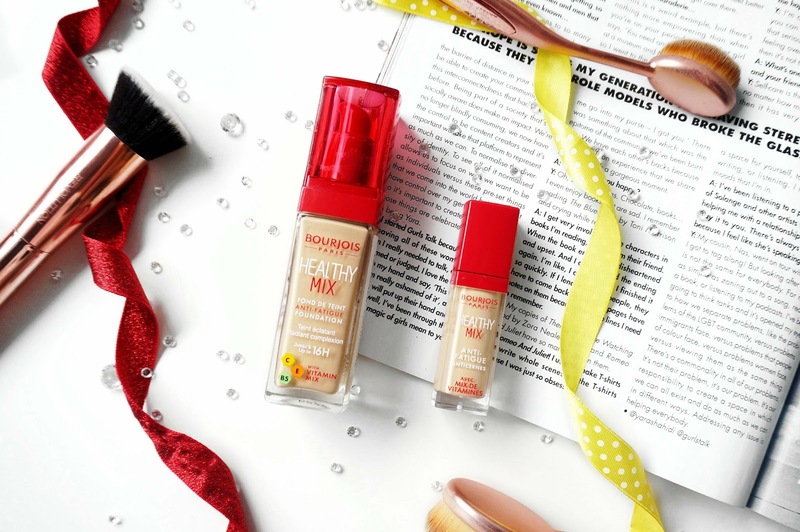 I have seen a couple of reviews of the newly formulated Healthy Mix Foundation and I thought it would be time to pick this up since I loved the old formula. It was my go-to foundation last winter and I have missed using it. They also launched a concealer within the same range which I am reviewing today. The healthy mix foundation now comes in a rectangle glass bottle instead of the cylindrical shape. Personally, I never had a problem with storing the foundation it, however, does look sleeker. It still comes with a pump which is really handy to control the amount you use or pump and has the same medium coverage but with more vitamins such as vitamin C, E and B5 to help with fatigue and achieve radiant skin. The foundation claims to last up to 16 hours. The foundation has the same liquid formula as I remember and I do prefer using a flat top buffer to apply this onto my skin since I feel a beauty blender absorbs some of the coverage. it is easy to buff and apply and the shade Light Beige 53 is the same however I have gotten a lot paler than last year since I have not used any gradual tan. I do put two layers of foundation on my skin since it gives me the max medium coverage I can get but it does still show some of my imperfections such as hyperpigmentation and scars. The foundation covers my redness around my nose slightly but I do recommend going in with another concealer to spot conceal any blemishes you have. The overall finish is dewy since it claims to be radiant but I have found that I am less oily on my nose and forehead with this new formula, however, it does sink into your fine lines and wrinkles so you need to set your foundation and potentially bake if you are an oily skin girl like me.I found after 6/7 hours of wear I have some oil build up around my nose and it does smear if you touch your skin. I've also noticed that my blemishes are much visible but my overall skin sill looks healthy and glowy. I've tried this with and without a primer and it does last much longer with a primer and seems to be more smooth. The primer that I always use to test out new foundations is the Nivea Shave Balm. 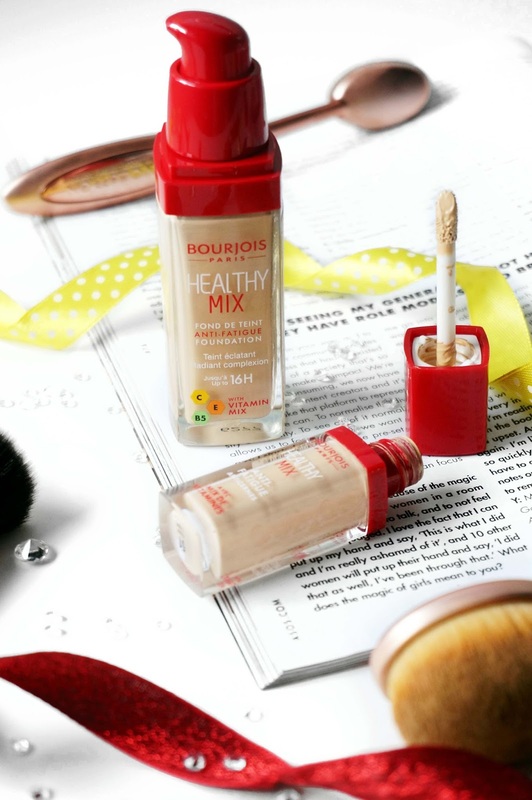 Onto the concealer, I have been wanting to pick up a Bourjois Concealer for some time and picked up the matching Healthy Mix Concealer since it was new on the counter. It claims to also have Vitamin C, E and B5 to help with fatigue and erase imperfections. 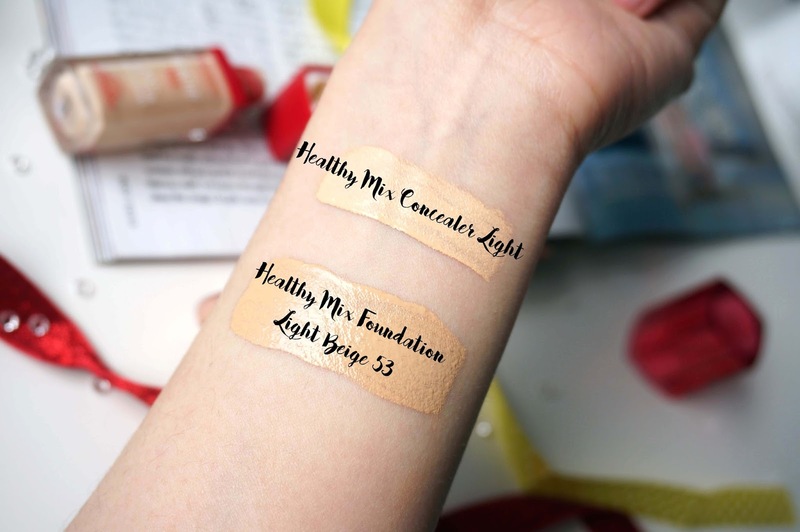 I chose the shade light as I was more likely to use this concealer under my eyes as it has a light yellow undertone and is perfect to brighten my dark circles. The concealer has a medium coverage and has a light creamy formula which is easy to apply under my eyes, I usually draw an upside down triangle below my eyes and blend out with a damp beauty blender. I find that this concealer dries quickly so if you were wanting to let the concealer set for a thicker coverage it is best not to since it will be difficult to blend. The concealer is actually very buildable and I go in with the concealer 2-3 times depending on my dark circles. It does not completely cover every blemish but it does a great job at brightening my under eyes without feeling cakey. I have been reaching for this daily and I use this underneath other concealers that I want to apply on top when I want full coverage. It feels very light and lasts a long time on the skin without fading. 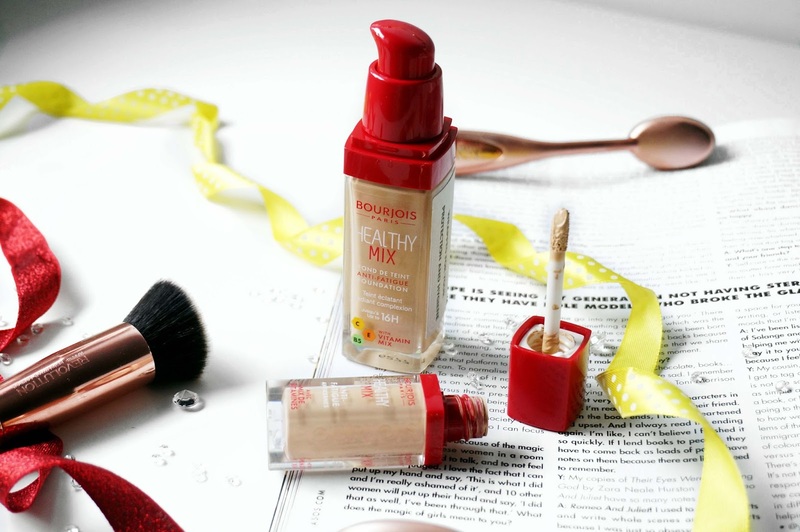 Overall I still love the healthy mix foundation there isn't much difference compared to the old formula except the extra nutrients to help combat tired skin and the oiliness - since I did blot my skin when I wore the old formula during the day. I will be continuing to use this and it is still one of my favourite drugstore foundations. 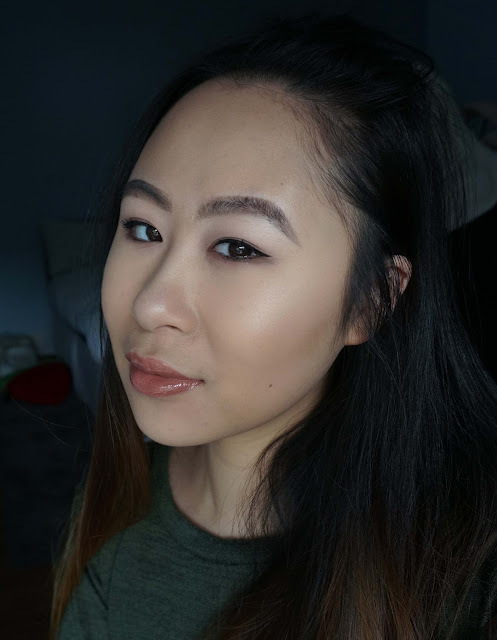 The concealer is definitely a new favourite of mine since it has a buildable coverage without feeling too heavy under my eyes, it does a great job at highlighting and my overall complexion does not look as tired. Thumbs up to both of these products and I will be picking up more shades especially since I am paler. I hope you found my review helpful! This is a great review. First in a long time that I didn't find too long or boring with too much unnecessary info.